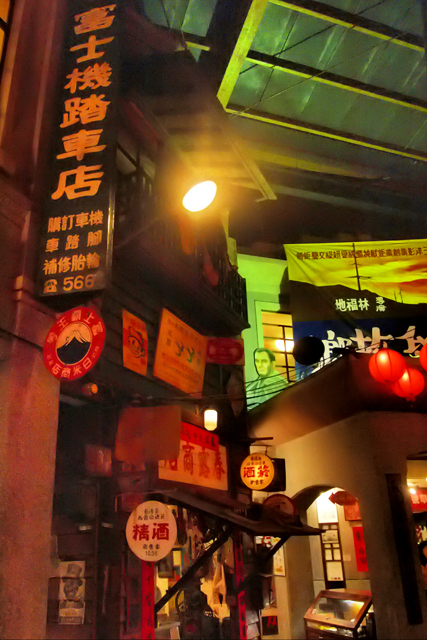 TAIWAN　Taichung　〜Taichung. “Banana New Paradise”. Beer & My Dad – A Generation. 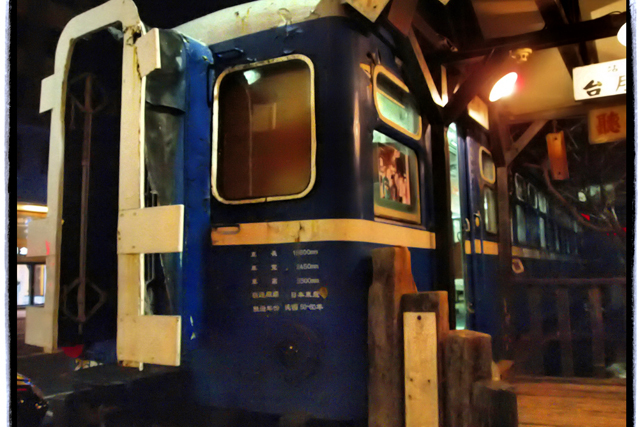 The old train at the entrance of the restaurant is a Tokyu passenger car. 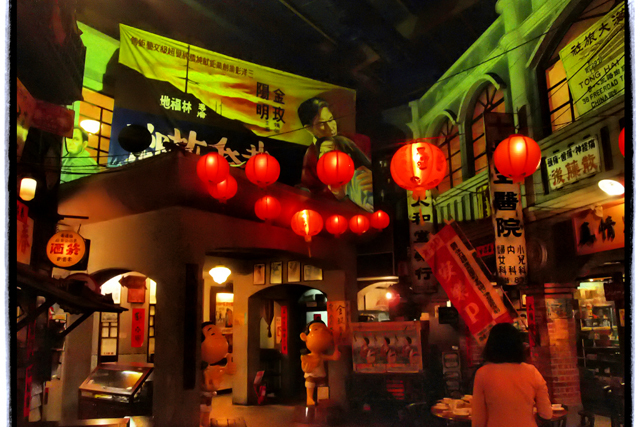 a theme restaurant decorated with a myriad of Japanese occupation and postwar signboards. Dad would have taken in this atmosphere and recalled his younger days. A graduate of the Japanese Naval Academy, Dad liked Lee Teng-hui, the former President of the Republic of China and a Japanophile. When drunk, Dad would sometimes bad-mouth Chiang Kai-shek. For some reason, he looked just like Ma Ying-jeou. Thinking back, I should have had a drink with Dad more often. As I drink my beer, I imagine taking a time machine to find Dad when he was my age, and bringing him here. When he was young, Dad was the kind of guy who would take a small boat to the Philippines or Saipan and nearly get himself killed, so he probably would’ve docked in Taiwan, as well. I bet if Dad were here now, there would’ve been more things we could’ve talked about.